Election day in Kabul with midnight earthquakes and rocket attacks at 7am, but the rest of the day passed without incident, in Kabul at least, and an afternoon walk around the city under bluebird skies found quiet streets and heavy police presence. In total, an estimated 307 attacks occurred throughout the country in election related violence yesterday. Election violence is notorious in Afghanistan, intimidation, kidnapping, and murder of candidates, campaign workers, and election officials makes campaigning a near impossibility in Taliban controlled provinces. Two candidates and eighteen election officials and campaign workers were kidnapped in three separate incidents the day before the election. Bodies of three of those kidnapped were found today. Election related violence actually started as far back as July, when a shopkeeper in Logar province was killed when he put up a campaign poster in his window, and a warning was delivered to local residents not to participate in the upcoming elections. In nearby Khost province, Sayedullah Sayed, a candidate for parliament, was fatally wounded – losing both his legs – when a bomb planted in the mosque he was attending exploded. Amazingly, despite the risk, 2500 candidates ran for office. More amazing still, an estimated 40% of voters turned out yesterday, casting more than 3.5 million ballots, said Faizal Ahmad Manawi, chairman of the Independent Election Commission. While many voters avoided the polls, it would seem that the increased violence was not enough of a deterrent to compete against a push towards a democracy. Even women ran for office in record numbers, a total of 413 overall, and a significant increase from the 2005 election total of 335. Under President Karzai’s amendments to the electoral law made earlier this year, 68 seats are reserved for female candidates. Yet female candidates are often accused of being prostitutes and Un-Islamic, their campaign workers kidnapped, and their families threatened. A quirk of the ‘reserved seat’ provision in the Constitution is that seats in provinces that do not have a female candidate will fill the seat with a man, thereby increasing threats against female candidates country wide. Low voter turnout and corruption were touted as major ‘fails’ of the election. Yet, the highest voter turnout in US midterm elections since 1962 has been 48% and the initial turnout in Afghanistan is 40%. Incredible when you compare the security situations between the two countries. In the US low voter turnout is due to apathy not security. How many US voters feel strongly enough their right to vote to risk death just to cast it? Corruption occurs, as it does in many countries with better security than Afghanistan. It doesn’t make it right, but it also doesn’t make these elections worthless. Continued steps must occur to fight against corruption and voter fraud, but as with everything in Afghanistan, its a journey. Any journey worth taking begins with the first step. It’s a lot of risk to take for a so-called moderate PR victory, but in Afghanistan, continuing on its present course is actually a step forward, especially for women’s rights. Afghans risk their lives to represent their country and cast their votes – proving once again how resilient and determined they are to take those first steps forward. Its midnight on Friday in Kabul, a few hours before the polls open. The walls start shaking, and it seems an earthquake has struck the Hindu Kush a hundred miles northeast of Kabul. The rattling does little to soothe my nerves as I worry about safety for all the voters and election officials tomorrow. Today, two candidates and eighteen election officials and campaign workers have reportedly been kidnapped in three separate incidents today. 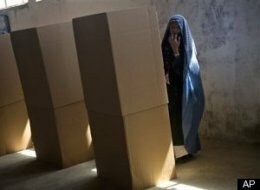 Election violence is notorious in Afghanistan, intimidation, kidnapping, and murder of candidates, campaign workers, and election officials makes campaigning a near impossibility in Taliban controlled provinces. Election related violence started back in July when a shopkeeper in Logar province was killed when he put up a campaign poster in his window, and a warning was delivered to local residents not to participate in the upcoming elections. In nearby Khost province, Sayedullah Sayed, a candidate for parliament, was fatally wounded – losing both his legs – when a bomb planted in the mosque he was attending exploded. The past few weeks have seen more of the same across the country, with the worst still focused in Taliban controlled Pashtun provinces. This morning, fifteen districts have declared their polling stations would be closed due to an inability to secure them. Al Jazeera English has posted an interactive map to track electoral violence. It breaks down threats into three categories related to the source of threats. 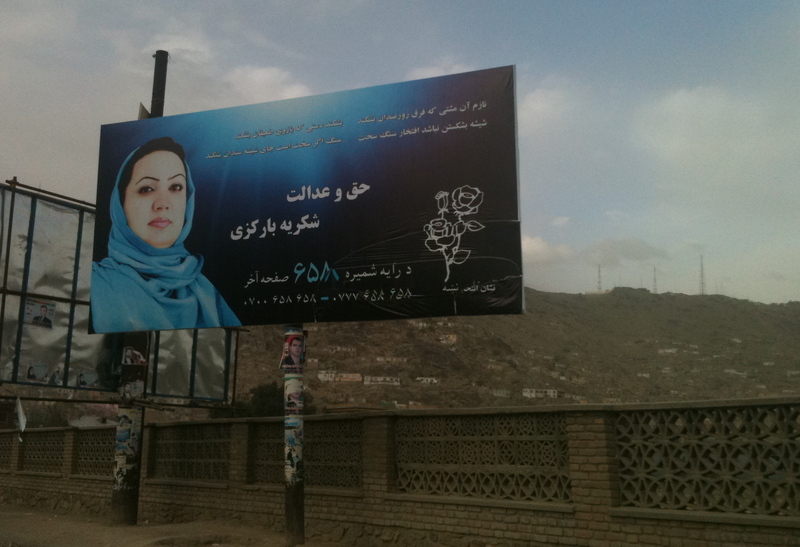 The map also contains blue markers for each of Afghanistan’s 34 provinces, indicating whether the number of female candidates has increased or decreased since the last parliamentary election in 2005. Though the total number of female candidates has risen from 335 to 413, this gain has been largely limited to Kabul Province where security is strongest. Under President Karzai’s amendments to the electoral law made earlier this year,68 seats are reserved for female candidates. That would make you think that there would be little point in intimidating women for running as they are technically running against each other for guaranteed seats. Yet the reserved seats in provinces that do not have female candidates will go to male candidates under electoral law, thereby increasing the risk as intimidation could equal an extra male seat. It’s a lot of risk to take for a so-called moderate PR victory, but in Afghanistan, continuing on its present course is actually a step forward, especially for women’s rights. Countrywide security has deteriorated over the past 5 years, and yet more female candidates are taking part in this election than the one in 2005, people are coming out to vote, and there is the feeling that the elections, however flawed, must continue if Afghanistan is to survive.